Here and there throughout the city good citizens died suddenly-of natural causes-and were forgotten. Others-men of character and position-took their own lives. And the madhouses were getting more than their rightful share of the cities great! None but the Spider hunted down and finally at bay, sensed the creeping, ghastly threat that dogged the footsteps of seven million people! 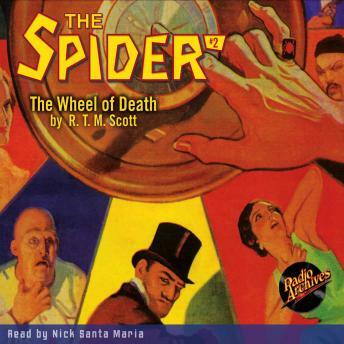 In his second recorded case, criminologist Richard Wentworth again assumes the avenging personality of the Spider-among other guides-in order to uncover the truth behind an audacious scheme to drive insane Manhattan's elite. But to what fell purpose?